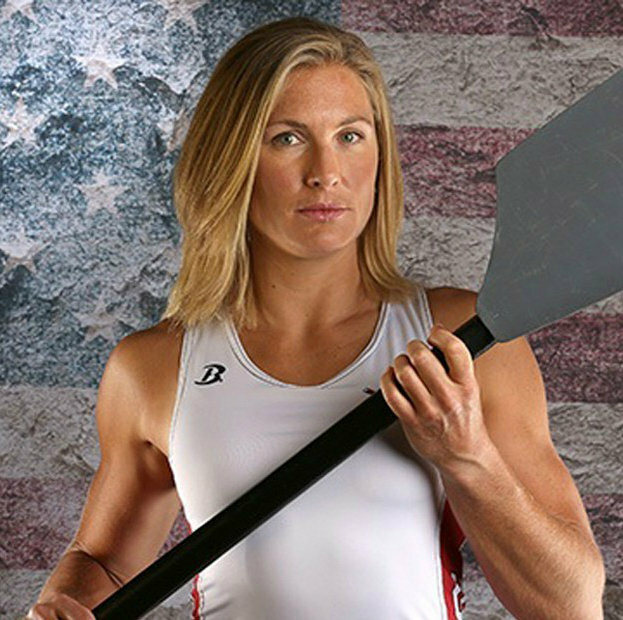 With the 2016 Olympic Games quickly approaching, United States Rowing has announced that Ithaca College graduate, Meghan Musnicki '05, has been selected to represent the United States in the women's eight in Rio de Janeiro this August. Musnicki, who was a member of the United States national team from 2010-2015, is no stranger to the Olympic stage, having won a gold medal during the 2012 Games in London as part of the women's eight. One of the most decorated rowers in the sport today, Musnicki has earned 17 medals in international competition including 11 gold medals. Most recently, the Naples, N.Y. native won gold at the 2016 World Rowing Cup II and has guided the United States to five gold medals at the World Rowing Championships. Meghan Musnicki will compete in her third Olympic Games. During her time at Ithaca, Musnicki, who was elected into the College's Athletics Hall of Fame in 2013, helped lead the Bombers to back-to-back national championships in 2004 and 2005 before being named First-Team All-American to close out her collegiate career. The women's eight will look to return to the medal podium beginning August 6 as Katelin Snyder (c), Amanda Elmore (8), Eleanor Logan (7), Musnicki (6), Tessa Gobbo (5), Lauren Schmetterling (4), Emily Regan (3), Kerry Simmonds (2) and Amanda Polk (b) take on the world's top crews at Rodrigo de Freitas Lagoon in Rio. Musnicki, who was Ithaca's commencement speaker in 2015, is not the only Ithaca College graduate to be competing in the Summer Games as Emily Morley '16 will represent the Bahamas in the sport of rowing. Read the 2016 Olympic team roster announcement from USRowing.